© 2003 by Gale. Gale is an imprint of The Gale Group, Inc., a division of Thomson Learning Inc.
Gale and Design™ and Thomson Learning™ are trademarks used herein under license. For more information, contact The Gale Group, Inc. 27500 Drake Rd. For permission to use material from this product, submit your request via Web at http://www.gale-edit.com/permissions, or you may download our Permissions Request form and submit your request by fax or mail to: The Gale Group, Inc., Permissions Department, 27500 Drake Road, Farmington Hills, MI, 48331-3535, Permissions hotline: 248699-8074 or 800-877-4253, ext. 8006, Fax: 248699-8074 or 800-762-4058. Cover photo of large cactus ground-finch (Geospiza conirostris) by K. Schafer/VIREO. Back cover photos of sea anemone by AP/Wide World Photos/University of Wisconsin-Superior; land snail, lionfish, golden frog, and green python by JLM Visuals; red-legged locust © 2001 Susan Sam; hornbill by Margaret F. Kinnaird; and tiger by Jeff Lepore/Photo Researchers. All reproduced by permission. While every effort has been made to ensure the reliability of the information presented in this publication, The Gale Group, Inc. does not guarantee the accuracy of the data contained herein. The Gale Group, Inc. accepts no payment for listing; and inclusion in the publication of any organization, agency, institution, publication, service, or individual does not imply endorsement of the editors and publisher. Errors brought to the attention of the publisher and verified to the satisfaction of the publisher will be corrected in future editions. Grzimek's animal life encyclopedia.— 2nd ed. v. cm. — v. 7. Reptiles / Neil Schlager, editor — v. 8-11. Birds I-IV / Donna Olendorf, editor — v. 12-16. Mammals I-V / Melissa C. McDade, editor — v. 17. Cumulative index / Melissa C. McDade, editor. Recommended citation: Grzimek's Animal Life Encyclopedia, 2nd edition. 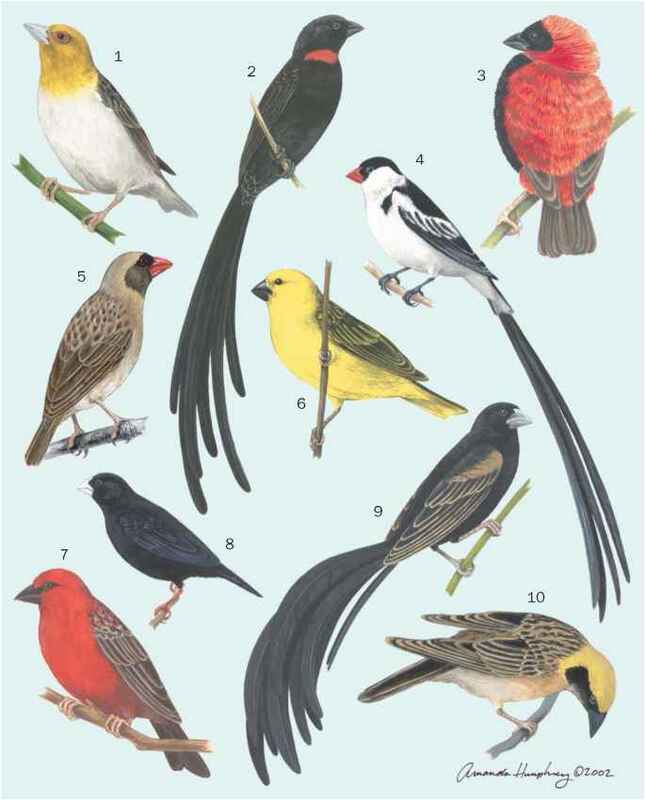 Volumes 8-11, Birds I-IV, edited by Michael Hutchins, Jerome A. Jackson, Walter J. Bock, and Donna Olendorf. Farmington Hills, MI: Gale Group, 2002.